Bar code technology is very valuable for industrial operations where it is necessary to accurately track resources and products through the manufacturing process. 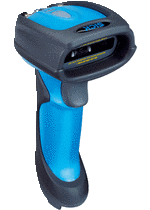 Bar Code Scanners have several applications on a roll former manufacturing line. The ability to scan a tag and automatically enter data saves time and eliminates the chance of key punch errors. The most common use of a bar code scanner on a roll forming line is in the recording of coil inventory information. Each coil has a tag, typically provided by the material supplier, that contains the important information about that coil and a unique inventory number. 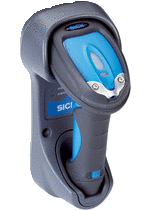 By scanning the tag, this information can be quickly and accurately loaded into your inventory system to indicate when the coil is on the line, when it is used up, or returned to stock. The optional RF (radio frequency) style scanner can be carried anywhere the operator goes on the manufacturing line. An available holster keeps the unit protected and out of the way.